When we first started talking to Ponant, we knew we’d found something special, it’s a cruise company like no other, all their yachts are smaller offering a more personal and refined experience, they acutely understand the UK MICE market and have been working successfully with the demands of the US market for many years. Ponant was created 25 years ago by two young officers of the french Merchant Navy, one of whom, Jean emmanuel Sauvée, is currently the President/CEO. 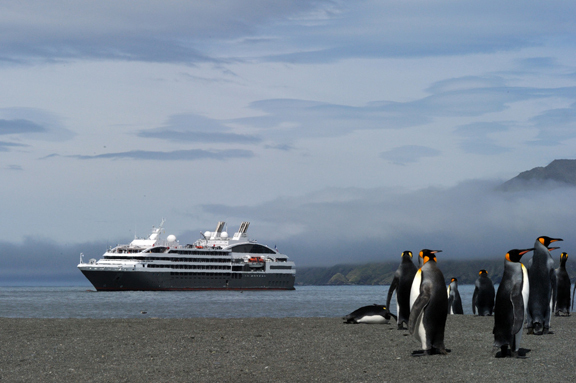 Ponant operate a small fleet of 4 mega-yachts: Le Ponant has 32 staterooms; Le Boréal, L’Austral and Le Soleal have 132. 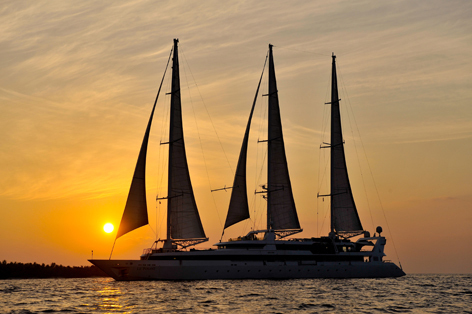 Flexibilty is what Ponant offers with the option to join an existing cruise for a few days or operate an exclusive charter wherever in the world your clients wish to sail. Sailing under the French flag, Ponant has carved out a place for itself in the luxury cruise sector, by focusing on a clientele in search of a different concept of cruising, a different way of living the cruise experience. Intimacy, service, luxury, exclusive destinations, gourmet cuisine, a bi-lingual-speaking crew and respect for the environment define the values of Compagnie du Ponant through the concept of “yacht cruising”. 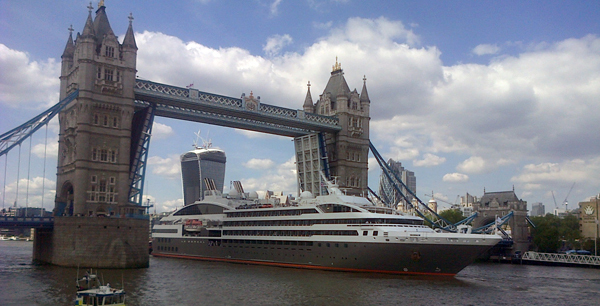 It’s an over used expression, but the world can literally be you and your delegates oyster with Ponant. If you opt for an exclusive charter then depending on the time of year and cruising restrictions then you can dictate where and when you go. Their 4 mega-yachts are small and very unlike the massive behemoths that many people view as ‘going on a cruise’, in fact Ponant are keen to emphasize that they are a ‘Luxury Yacht Cruise’ company, where your guests will receive personal, attentive and luxury to really deliver the wow factor. Pool, theatre, shop, fitness and beauty, library. Location(s): Worldwide:Arctic, USA, Caribbean, South America, Antarctic, Baltic, Mediterranean, Greek Isles, Indonesia & Russia. Languages Spoken: All crew speak English and French. Best time for groups: Year round. Minimum of 10 staterooms on existing cruises. Please refer to individual cruise itineraries. 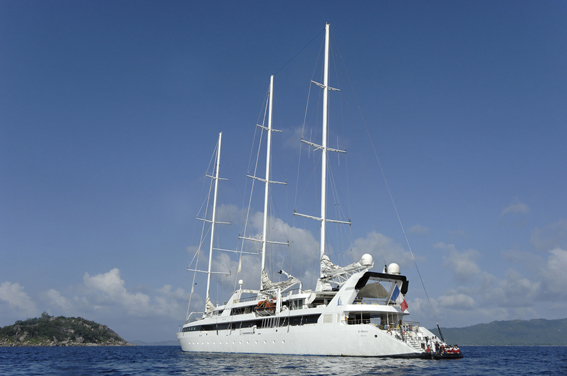 Join a scheduled programme, or charter in between times for your own itinerary. Please refer to individual cruise itineraries, these will be discussed in advance with you. Why get stuck in one city with the same views from the same meeting room window – all of Ponant ships sail at night so there is never a feeling of being trapped, you can be in Nice one day and in St. Tropez the next. 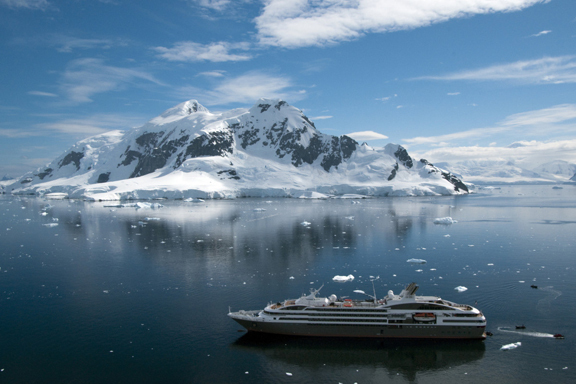 All the Ponant fleet are incredibly eco-friendly and they are one of the few operators that allowed to sail into the water of Antarctica. 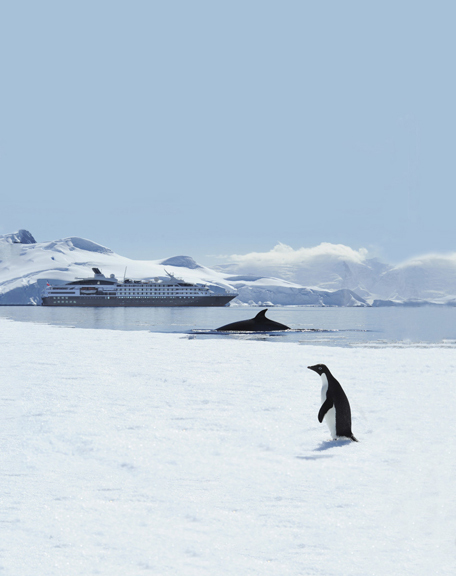 As a result of many years of experience, Compagnie du Ponant has become a polar Specialist. It is currently the only french cruise line to have three yachts offering polar cruises and is currently celebrating its 10th anniversary of sailing in this inspiring area. All on board meals (breakfast, lunch & dinner) from the dinner on the first day to breakfast on the last day. Any meals not taken on board are not deductible. Coffee and tea at the end of each meal. These Luxury Cruise Yachts are nothing like the behemoths of the sea that play their trade around the world. They are smaller, more intimate with a crew that will treat you like royalty. Their size also allows them to reach ports and destinations that the larger ships have no hope of ever reaching. The cuisine is inspired, refined and varied, prepared by talented French chefs who know how to create the very best gourmet cuisine out of local flavours. Carefully selected fresh products and a selection of fine wines presented by expert sommeliers, in a setting that matches the finest restaurants. Three of the ships (excluding Le Ponant) have a salon, heated pool, gyms containing the latest equipment as well as a spa where a variety of spa treatments. In association with CaritaTM and SothysTM, they offer a range of premium treatments for the well-being of your guests, including hammam, balneotherapy and massages. We can also arrange for a limitless range of experiences for your guests, including wine tasting, cookery lessons, photographer courses etc. as well as activities just off the ship, including diving or trips on Zodiac safari’s to those hard to get to places such as ice-flows. However, that’s just aboard, in port you have the opportunity for unrivalled experiences and activities, we personally like the idea of a car launch – where different models can be placed at different ports, allowing for a completely unique driving experience for your delegates. At each port of call, there is organised tours that allow guests to discover the treasures of the region. All excursions are led by guides who are happy to share their knowledge and experience. Cultural visits: The cities of Ancient Greece, the pre-Colombian heritage of Latin America, art museums, Asian temples – stimulating visits that will delight fans of culture and civilizations. Meetings local inhabitants: Discover people, culture or an ethnic group with their unique traditions, like the Inuit in the Arctic or the Embera Indians in Panama. Hikes and walks: Led by our experienced guides, our guests can journey on foot through the Saguenay National Park in Canada, walk in the footsteps of Shackleton in Antarctica or on the slopes of volcanoes in the kuril Islands. Observing the flora and wildlife: When the destination allows it, our guides and naturalists will invite guests to observe the wildlife and plant life, on land or aboard our Zodiacs® vessels. Adventure activities: To meet the need of our more sporty guests, we offer excursions on bikes, 4-wheel drive vehicles, kayaks, helicopters, paragliders, dugout boats, seaplanes, rafts and schooners. These excursions are sold on board (some are pre-sold), but for the Expedition cruises, these activities are included in the price of the cruise. 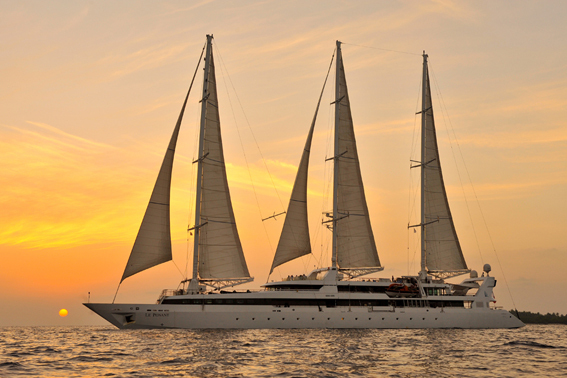 A full exclusive charter will undoubtedly bring that critical WOW factor to any incentive group, the choice of destination can be left up to you (allowing for the ships normal itinerary), so you could cruise around the Med or spot penguins in Antartica. If you want it just for a meeting where privacy or security is paramount then how about holding it at sea, all the ships have meeting and convention space that is well away from prying eyes. 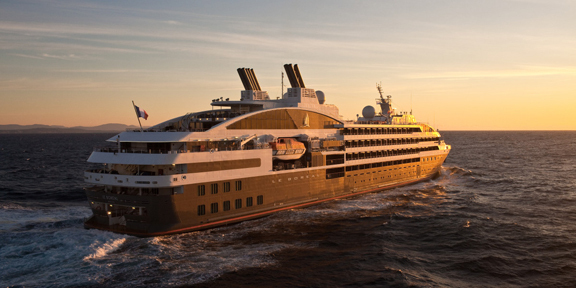 With the design of its modern flotilla of ships, and the remarkable elegance of its small-scale yachts sailing under the french flag, Ponant has carved out a place for itself in the luxury cruise sector, by focusing on a clientele in search of a different concept of cruising, a different way of living the cruise experience. Intimacy, service, luxury, exclusive destinations, gourmet cuisine, a bilingual-speaking crew and respect for the environment define the values of Compagnie du Ponant through the concept of “Yacht cruising”. Safety is the number one priority for the experienced Captains and crews who will look after you throughout the journey. All the ships have been awarded Ice-1C classification, which means they meet stringent international requirements. They are fitted with state-of-the-art safety equipment: Sonar, GMDSS - a system of emergency communication by radio, Zodiacs® fitted with satellite beacons, a satellite weather station. Each ship also has a doctor aboard and a full equipped medical suite should the very worst happen. Drinks - they loved the wines and the cocktails!! Housekeeping - excellent service and they were all impressed about how their rooms were 'tidied up' each evening. The Captain was so accommodating and it was great that we could offer the impromptu Bridge visits - in particular it was so lovely to be able to offer the men in our party a special treat. Enora was lovely to deal with and we worked very well together putting the Newsletters together each day. I became quite effiicient on the French keyboard! I will forward the evaluation that the client completes in due course but I am not anticipating any negative comments at all as they all had a really fantastic time and enjoyed every minute aboard. Many said they would like to do this every year - they loved waking up in a different location each day and dancing all night. My job on board was made very easy as all your staff were so attentive, but in particular I would like to mention Enora, Benoit, Sebastian and Philippe plus the lovely guy who oversaw all the dining arrangements - sorry cannot remember his name. Thank you Isabelle for all your help in putting the detail into the planning - we would not have had such a successful event without all the work you put into it too. A huge thank you once again to all involved - it was one of my favourite events that I have ever worked on.